When we grow older or face health issues, feeling well and healthy starts to play even a bigger role in our everyday living. We need reliable solutions to support this ever-growing demand for independent and good life. Knowing when something might be wrong in our health status and wellbeing is as important, giving us the signal to seek for help and the right treatment for our health issues. 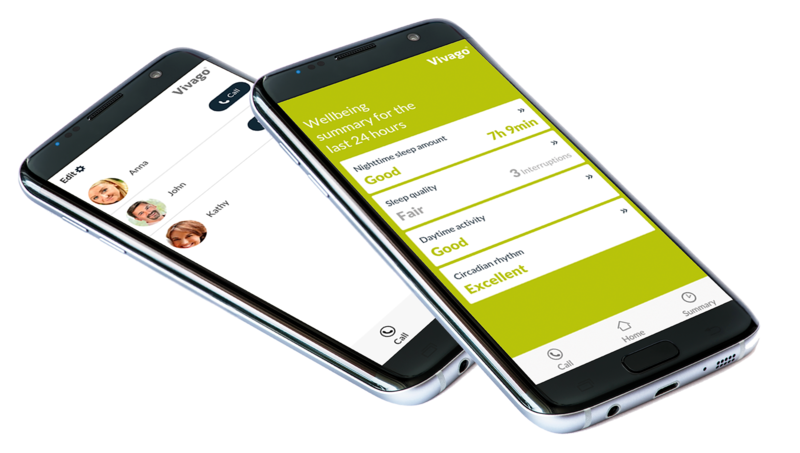 A key feature of Vivago MOVETM is how the wellbeing and health status information is analysed and, if necessary, alarms sent. Solution can send an automatic alarm if watch user's condition is worsened and in addition automatic notifications and alarms inform when wellbeing and health status is changing. Vivago MOVETM gives unique support regardless of the watch user's location and time. For example, taking a nice walk outside in the nature is safer and more relaxing knowing that, if needed, calling for help is easy. Care professionals and relatives can easily follow-up watch user's health status and wellbeing information from the distance. This supports self-reliance and freedom at life with the opportunity to rely that help is available if needed. If chosen, Vivago MOVETM solution also informs user's location outdoors which further extends the safety and free mobility for people who might have issues with their health. Feeling good and safe with less worrying improves our quality of life.